Students of leadership know that every failure holds the seed of turnaround and potential success. History offers few better examples than Julius Caesar. True, he came to a dead end on March 15, 44 B.C. – the Ides of March – when he was assassinated. Yet for the previous 40 years Caesar built a career in politics and war, but especially in war, on rebounding from failure. Caesar’s art of the comeback offers lessons for today’s corporate leaders. Whether overcoming bankruptcy, getting back in the game after being fired or returning to success following poor performance, knowing how to respond to defeat is part of every career. As a general, Caesar was an escape artist. Again and again, from one end of the ancient world to the other, he wiggled out of traps, escaped ambushes, dodged enemy reinforcements and overcame his own errors. And he made many errors, yet he continued to see himself as a hero and made sure others did as well. Build a Culture that Rewards Individual Initiative and Encourages Flexibility. 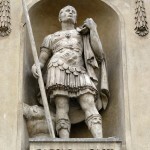 Caesar’s army bounced back from shock because of the skill of its team leaders and the morale of its foot soldiers, both of which Caesar fostered. Unlike the culture of Volkswagen, that prized secrecy over dialogue and led to the emissions-standards scandal of 2015, Caesar encouraged openness and consultation. He knew that the key to his army was its captains (centurions), a cadre of highly competent non-commissioned officers. They were Rome’s only career, professional officers and Caesar was wise enough to respect them. He actively sought their advice and rewarded them with big bonuses. They more than paid back his trust and played a key role in holding the line on that terrible day on the River Sabis. Likewise, Caesar invested in his men. He never called them “soldiers,” as Romans usually did, but always “fellow soldiers.” He shared their hardships on the march and joined them in mourning when casualty rates were high. He offered his soldiers more medals and higher pay while punishing only the most serious rule-breaking, such as mutiny or desertion. Like Google, Costco and Wegmans, Caesar treated his employees well and won their loyalty in return. Google is famous for its benefits, including such perks as three organic meals a day, virtual doctor visits and on-site oil changes for your car. Costco offers generous health benefits and contributions to 401K plans. Wegmans promotes a family feel in its stores, allowing employees to submit schedule changes online, for example, as well as offering scholarships to young employees and supporting community activities. Believe in Yourself. When it came to walking into the trap on the Sabis, the buck stopped with Caesar. Instead of following standard Roman practice and keeping men in arms to guard those who were laying camp, he let discipline slide, thereby risking total defeat. Yet Caesar never lost a moment to recrimination afterwards. . Caesar no more gave up believing in himself than Steve Jobs did after he was fired from Apple or Martha Stewart did after she went to jail. Like Caesar, JetBlue founder David Neeleman took a hands-on approach to business. After being ousted as CEO after an ice storm stranded 131,000 passengers, Neeleman regrouped with confidence, founding Azul, a new airline in Brazil. Win the Communications Battle. 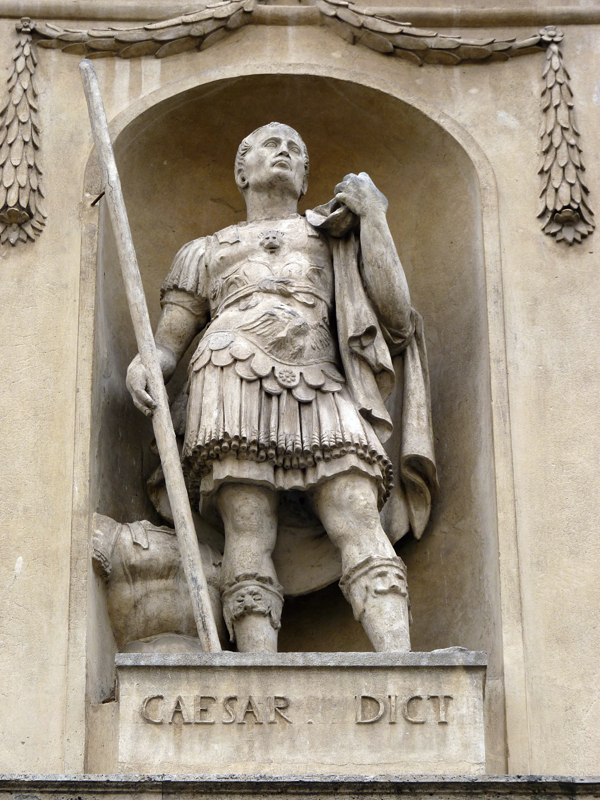 Caesar did not risk being foisted with responsibility in Rome for a near-disaster on the Sabis. Instead, he took charge of the narrative by writing his famous Commentaries on the Gallic Wars, in which a chapter is devoted to the Sabis episode..
Caesar’s downfall was precipitated by his lack of respect for fellow members of the Roman elite. He was openly dismissive of other senators and nobles. Yet he underestimated the amount of fight left in the Roman establishment and the challenge they could mount. On the Ides of March, he paid a terrible price. Caesar the politician should have remembered the lessons of Caesar the general. Barry Strauss is the author of The Death of Caesar: The Story of History’s Most Famous Assassination.